September | 2013 | Saviour Builders Pvt. Ltd. Possession of a property is a right recognized by law. A person in actual physical possession of a property or any person entitled to its possession is said to possess the possessory title of the property. This possessory title is independent of the proprietary title of the property. Possession by itself is a substantive right recognized by law and has legal advantages attached to it apart from the true owner’s title. The right to possession is a heritable right and a transferable right. Even the equitable relief of declaration and injunction are available to the person in possession, as against any person threatening to infringe on it. Suits of possession are generally classified as based on proprietary title and on possessory title. Section 6 of the Specific Relief Act 1963 even treats possessory title in a way better than the proprietary title, in matters where the person in possession is dispossessed without his consent, otherwise than through due course of law. In such matters, the person in possession or any person claiming through him may, by instituting a suit within six months of dispossession, recover possession of the property, notwithstanding any other title that may be set up in defence, in such a suit. If the person holding a possessory title is sought to be dispossessed, without his consent but in due course of law, the person holding possessory title is likely to succeed as against all people except the true owner. Article 64 of the schedule to the Limitation Act 1963 recognizes that a person holding possessory title, that is while in possession of the property, on being dispossessed, can institute a suit for possession of the property within 12 years of the dispossession. This, the person holding the possessory title can do, even if he does not have the proprietary title. Possessory title is nothing but a title derived from possession and is good against all except rightful owner and as held by the division bench of Bombay high court in the case of Mariumbi Aslam khan vs Vithoba Yeshwanta-such possessory title has all the features of an estate in land and like any other estate, it can be transferred inter vivos [literally, between the living. It identifies a gift made during the donor’s lifetime.] and can also be acquired by inheritance. Possession has a two-fold value—it is evidence of ownership and is itself a foundation of right to possession. For any informations on Saviour Builders in Noida, Email us or SMS: SAVIOUR at 53030. Navratra is considered very auspicious time for new deals; prospective homebuyers must bear in mind that realty investment always pays, and one should not wait for prices to fall as it rarely happens—in the Indian market. As Pitrapaksh comes to an end, are you ready to buy your first-or second-house during this auspicious Navratra days? This is a time when even the most cynical customers, the habitual nitpickers, start to plan to buy their long-cherished house-they either book a flat during this period, or start their search mission for one. Realty analysts are of the view that rather than wait for a time when prices fall in the realty market, one must scour the market and book a flat according to one’s budget. For one, an endless wait will only get longer, as prices rarely come down in the Indian real estate market. Given the trend of rising property prices over the last few years, the price of the property you have shortlisted will most likely keep going up, even as you wait. By all accounts, residential real estate is one asset class whose rates have been steadily rising in most markets. While analysts have been saying that residential property markets in locations like the National Capital Region and Mumbai are ripe for a price correction, developers have been able to hold on to prices even as buyers wait for a fall. Given the demand-supply imbalance, the trend is likely to continue and your investment will, in all possibility, stand you in good stead even when other assets take a beating. There are many people in the capital who would tell you that when they bought property in a particular area, it would be invariable without any worthwhile facility; but a couple of hard years later, development invariable happened. And with development, the value of their property climbs manyfold. That has changed the class character of a large number of people. As the rates have gone up in main parts of the city, one should not mind investing in the outer or little unknown areas of the city. Investment advisers say that, if possible, one should buy another house before retirement. Those who have no pension to fall back upon after retirement must buy another property, as it would give them social security at the later stage of their life. The thinking behind this advice is that if you have more than one property, you can give the second house on rent and earn a good amount by way of rentals. Those who invest in property cannot be losers; this is especially true for all those who do not get pension benefits in their current profession. It goes without saying that immovable property is a huge asset one can bank upon when the chips are down. Property can be a great source of income for your retired life or in case you lose your job; lakhs of people have lost their jobs since the global economic crisis a few years ago. There is little doubt that property is a sound investment proposition, provided you make it at the right time. Nevertheless, experts advise prospective buyers to invest in only those projects whose developers have a proven track record. Talking about the Navratra period and the realty market, experts say this is one time when even those people who already own properties, go out and book one more. With jobs hardly permanent in nature, people have come round to the view that a second property is the surest insurance to fall back upon in their old age, and those among them who can afford it, book a second property before they hit 50. Those who have no pension to fall back after retirement must buy another property, as it would give them social security at the later stage of their life. Looking for Residential Apartments in Ghaziabad, Email us or SMS: SAVIOUR at 53030. Developers are going all out to woo customers this Navratra—from free gold coins and costly electronic gadgets to lucrative discounts, they hope to cash in upon the tradition that favours new purchases during this auspicious period. Builders and developers are announcing a number of attractive schemes for buyers this Navratra; considered to be an auspicious period, the season will see a lot of deals being finalized across the asset classes, including real estate. The schemes vary, from upfront discount of around Rs 2 to Rs 5 lakh—depending on the price of apartments—to schemes under which around 50% of the cost of an apartment is paid upfront by the buyer and the rest paid at the time of possession. In yet another scheme, developers bear the entire registration cost of 7% of the total cost at the time of registry. Many developers have announced free gold coins and costly electronic gadgets to buyers who book apartments or houses this festive season. During the festival season, which starts with Navratra and continues till Diwali, a large number of serious buyers finalize their deals. Anil Sharma, CMD of Amrapali Group and president of Credai, Delhi NCR, says that during this period genuine buyers come out to buy houses. So, to make the deal lucrative and bring it to a close, developers offer the right kind of choice that meets the requirement of buyers—all at a reasonable price. Honey Katyal, CEO of Investor Clinic, says that because of the large number of buyers who turn up at this time, developers offer some additional discount to them, without incurring any business losses. This helps both—the buyers and the builders. This season, too, developers are hoping for a spurt in demand and closing of deals, which will have a salutary impact in reviving the sector. Supertech Ltd has offered a ‘40:60 scheme’ for this Navaratra season. This scheme is for only those projects where possession will be given in six months. As per the scheme, the booking will be done on 40% advance payment and the balance 60% is to be paid six months later, at the time of possession. This will enable a buyer to save around Rs 3.5 lakh on a property of Rs 1 crore. Ajnara India Ltd and SVP Group are also offering attractive schemes. The companies are offering bookings on payment of 10% of the total cost in their projects; after this, one has to pay 50% of the cost within 30 days of the allotment, while the remaining 40% is to be paid at the time of possession. In these schemes, buyers save handsome amounts, which may be as much as upwards of Rs 10 lakh in some cases. Antriksh Group is offering special cash discounts of up to Rs 50,000 on its projects like Antriksh Sports City in Sector 150 on Noida-Greater Noida Expressway, and Antriksh Golf Link and Antriksh Valley launched in Sector 1, Greater Noida West (Noida Extension). Rakesh Yadav, MD of Antriksh Group, says, “This festive season, we are sharing the happiness with all our potential customers through our attractive cash discounts on all purchases.” Prateek Group is offering free car parking, power backup, and gold coins this festival season. Griha Pravesh, another builder, is giving gold coins to the people who introduce a customer this season. “As the project has been sold by referral marketing only, to maintain the gentry we are offering the freebie to the introducer whom we think are our real SBU (strategic business unit),” the company said in a statement. Landcraft Developers is also working out an exciting Navratra offer in which a buyer will take away home appliances worth of Rs 1.5 lakh free for booking one unit in any of their projects. Amrapali Group is offering an upfront discount in the range of Rs 2-5 lakh to buyers; Anil Sharma, CMD of the group, said that the company is offering electronic gadgets like laptops, LCDs, and ACs with every booking. Raheja Group has offered a price discount of Rs 500 per sq ft in its luxury residential project Revanta in Sector 78, Gurgaon; the price of the apartments in the project is around Rs 11,500 per sq ft.
“These are smart homes with branded products like Versace elements in flooring, wall design, wall tiles as well as other subtle elements; the sanitary ware is by Viliroy & Boch, as well as Hansgrohe. Concealed ductable air-conditioning and intelligent homes are other features of these homes which are being constructed by Arabtec, the construction company which built the tallest tower in the world, Burj Khalifa, in Dubai. The structural design consultants are Thornton Tomasetti, the consultants for Kingdom Tower, Taipei 101 & Petronas Towers,” a spokesman of the firm said. “Serious buyers prefer a price friendly product, at the right location, from reputed developer. Buyers’ preferences are essentially the specifics of location, the number of bedrooms needed, size of apartment desired, and property that fits the budget—any offer of freebies works only if it is in addition to these criteria in the purchase of property. Thus, we do not intend to offer any freebies in any of our project ever,” Jain said. Looking for Residential Properties in Noida Extension, Email us or SMS: SAVIOUR at 53030. The upward revision in repo rate by the Reserve Bank of India is likely to increase pressure on real estate developers to offer discounts in the upcoming festive season as they struggle to clear their inventory at a time when demand is tepid and interest rates are rising. HDFCBSE -1.24 %, ICICI Bank BSE -2.36 % and Axis Bank BSE -0.44 % raised interest rates on home loans last month while State Bank of India BSE -1.24 % did so on Thursday and the RBI on Friday raised the rate at which the central bank lends money to commercial banks by 25 basis points. “Discounts are now inevitable,” said Sanjay Dutt, executive managing director of South Asia at real estate services firm Cushman & Wakefield. This festive season is likely to see just a tenth of last year’s new project launches, according to an estimate by the Confederation of Real Estate Developers‘ Associations of India (Credai). “Developers will want to sell their unsold inventory instead by using innovative schemes and discounts. Rising interest rates, though, will lower sentiments and could impact sales,” said Credai chairman Lalit Kumar Jain. The festival season usually generates about 20% of the annual home sales. But demand has been severely hit this year due to the economic slowdown, higher inflation and job cuts in several sectors. The spike in interest rates can only add to the industry’s woes, developers said. “If developers really reduce prices, some sales should happen this festive season. This is an opportunity for them to clear their inventory pile-up,” said a senior SBI BSE -1.24 % official, who did not wish to be named. DLF’s group executive director Rajeev Talwar termed the increase in repo rate a missed opportunity. “There was a need to lower rates to stimulate demand,” said Talwar. According to property research firm Liases Foras, close to 670 million sq ft of stock is lying unsold with developers as home sales have fallen over the past few quarters. “We will not be launching new projects this festive season. Instead we will focus on delivering old projects and will offer schemes and discounts to get rid of our inventory,” said RK Arora, managing director of Noida-based developer Supertech. Several developers are poised to launch new schemes for existing projects and also offer innovative payment structures, said Ankur Srivastava, chairman of GenReal Property Advisers. “They are also repositioning parts of existing projects to stir sales,” Srivastava said. DEMAND has been severely hit this year due to the economic slowdown, higher inflation and job cuts in several sectors. BUILDERS will want to sell their unsold inventory instead by using innovative schemes and discounts. MANY DEVELOPERS are poised to launch new schemes for existing projects and also offer innovative payment structures. Wish to purchase Residential Flats in Ghaziabad, Email us or SMS: SAVIOUR at 53030. If you drive along the Noida-Greater Noida Expressway in the National Capital Region, you will come across several advertisements by builders promising 12 per cent assured return on office space. For people looking to invest in real estate, the return appears attractive, but should you opt for such schemes offered by developers in the commercial segment? What exactly do these offer and do they actually deliver what is promised? With banks reluctant to lend to developers, or demanding an interest rate of 17-18 per cent on construction loans, developers are trying to raise money from individuals by offering assured returns of 11-12 per cent. This return is paid monthly while the building is under construction. The payments usually last till the first lease or for 1-2 years after the construction is completed. The biggest catch in these schemes is the pricing. If you compare the price of an office property offering assured returns with that of a similar building in the vicinity that doesn’t offer this, the former is likely to be more expensive. Rajan Ahuja, director, Realty Verticals, a Gurgaon-based real estate consultancy, says that such assured return schemes are typically priced 40 per cent higher. “If you want to earn a higher return, you would be better off avoiding these schemes,” he adds. For instance, if you buy a 1,000 sq ft property at Rs 5,000 per sq ft instead of Rs 7,500, and you manage to rent it out at Rs 50 per sq ft, your rate of return will be 12 per cent at the former price, but only 8 per cent in the case of the latter (see table). Besides, there’s the risk that the developer may not pay you the promised return. As Rajeev Bairathi, executive director, Knight Frank India, warns, “Such schemes are good for only as long as the developer is doing well.” The moment he runs into financial trouble, his post-dated cheques may begin to bounce. Also, be warned that your return is likely to dip once the assured returns end. While this return tends to be in the range of 11-12 per cent, the rental return is usually 7-8 per cent. Before opting for an assured return scheme, you should clarify several things and get the developer’s assurance in writing. First, enquire whether the return will last till the completion of the project or till a tenant is found. If the scheme is only till the building’s completion, you could be left high and dry till a tenant is found, which may not happen in a hurry given the weak market at the current juncture. Second, if the offer lasts till after the construction, and the rental rate earned is lower than the promised rate of return, will the developer make good the difference, or will he give you more space? Three, if the tenant leaves midway through the first lease, will your assured return continue? Four, check the developer’s track record. What if you don’t receive a cheque or it bounces? Does he have a reputation for being responsive to complaints? Five, is the developer good at finding tenants? Avoid those with a poor record on this count. Finally, however attractive the assured return, you must give greater weightage to the location and quality of building, as well as the developer’s financial strength. A popular practice in the office segment is that the builder develops a large floor area, which he then slices and sells to a number of buyers. The buyer’s space is not demarcated, nor does it have a boundary. All he has are the papers to prove his ownership of a portion of the space. The possession rights are given to the builder, who then finds a tenant on behalf of the buyers. The good thing about this scheme is that it lowers your entry barrier. Sajid of Silverline Realty says that such schemes are common in technology parks, and based on his experience in the Bangalore market, he feels there is not much risk in these. However, they do have certain disadvantages. According to Magazine, there could be disputes among owners. “When a tenant is hard to come by, you may want to rent out the floor at a lower rate, but the rest may not agree with you,” he says. Moreover, you can’t take possession of the property and rent it out individually or utilise it for your own needs. “If your space is in the middle of the floor, having access to it will be difficult,” says Ahuja. According to Pradeep Mishra, head of Gurgaon-based Sainik Estates, there could be legal problems in asserting ownership rights since your area is not properly demarcated. Exiting such schemes is also difficult. “Shared ownership could lead to a lot of complexities,” he says. About a couple of months before its formal launch, developers conduct a soft launch, wherein they offer the property to investors at a discount of, say, 7-10 per cent. 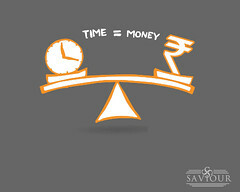 The short-term investors, who sell the property within 6-8 months, often opt for such schemes. While the discount pushes up the returns, remember that if prices tank, you may not be able to make a quick exit. Says Sajid: “This is a high-risk game that only large investors should play.” So, study every scheme carefully and invest your hard-earned money in it only if you are convinced. 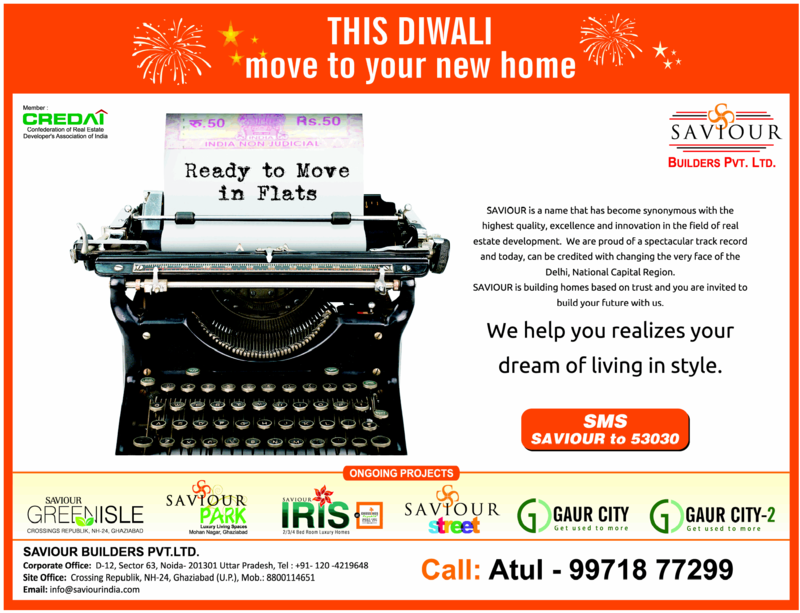 Wish to purchase Apartments in Greater Noida, Email us or SMS: SAVIOUR at 53030. In a huge relief to property owners, Yamuna Expressway Industrial Development Authority (YEIDA) passed a circular on 24th September allowing for land transfer, which had in 2011 been stopped after an order was passed by the Allahabad high court. In 2009, the Authority had launched a scheme of 21,000 residential plots. However, after the land row the court had imposed a stay. Yamuna Expressway Authority CEO PC Gupta said that transfer of undisputed land can resume. “This decision has officially been circulated in all departments,” Gupta said. He added that there are 25,000 residential plots and a court stay exists on 12,000. While status quo will exist on the ones mired in legal proceedings, the rest of the plots can be easily transferred. When asked about the impact of this decision on the realty sector, Credai (west UP) president and Gaursons MD Manoj Gaur said a positive impact will be seen on the real estate sector which is in a slump. “A positive sentiment in the market will be seen if properties can be transferred. Apart from that, the Authority will also be able to generate funds as registration duty which can be used for development purposes,” Gaur said. Meanwhile, buyers and sellers have begun submitting applications for agreement to lease and transfer land. There are 21,000 plots in Sectors 18 and 20 of Yamuna Expressway which have borne the maximum brunt of the ban on transfers. For more details on Saviour Builders in Noida, Email us or SMS: SAVIOUR at 53030. What holds NRIs from buying property in India? This may be the right time for NRIs who wish to buy property in India but there are reasons which are holding them back. Developers across India acknowledge that the number of enquiries from NRIs have certainly increased in the wake of appreciation in US Dollar’s exchange rate against Rupee, but they are not necessarily translating into transactions. Arjun Agarwal, director and chief executive officer of Bangalore-based real estate developer Bharatiya Urban, states different reasons for this. “Some are expecting more depreciation in the Rupee’s value, some want the dust to settle and some find prices unrealistic,” says Aggarwal. Dalal, who is based out of Mumbai, also feels that property prices in Mumbai had reached the peak years ago, and now many parts of Navi Mumbai are also experiencing artificial hike. “Property prices at places such as Wadala and Sewri are touching the levels of Dadar,” Dalal adds. AP Mull, president, Consulting Engineers Association of India, is also of the opinion that high property prices in Mumbai are keeping NRI buyers away from the market. As per industry reports, levels of property prices in Mumbai float at par with New York, London and Tokyo. However, the presence and quality of infrastructure in the city is far from the global standards. Looking for Flats in Noida Extension, Email us or SMS: SAVIOUR at 53030. Buying a distressed property in the resale market could be a profitable deal for you. However, there are certain aspects which you must consider before entering into the transaction. A slight negligence on the matters related with the transfer could turn a profitable-looking property deal into a nightmare. Distressed properties are ones for which a buyer defaults on the payments as per the schedule and agrees to sell the asset in order to facilitate recovery. A number of times, short-term investors book properties during the early stages, in expectation of quick profits. However, when the market goes slow and the asset does not get sold, they default on payment if they do not have sufficient funds to sustain the transaction. On the other end, there are several genuine buyers who due to some reason or the other are not able to make payment and have no choice but to exit from the transaction through resale. A buyer must take a complete record of all the payments made by the defaulting party. The statement of payments may come from the seller but it should be verified by the developer’s office in black and white. “A buyer must also check details of the service tax payment,” says Suneet Pratap Singh, sales head, Finlace Consulting. Generally, there is a clause of penalty charges in the contract in case of default in payment. These charges must be paid by the seller or if you tend to pay them as part of the total cost, then the amount should be finalised, keeping both reseller and developer in the loop. The developer may have put a condition of transfer charges as well. Factor-in this cost before you arrive at the total price of the property. “These charges may or may not be there, but it is always good to confirm from the developer to avoid surprises later,” states Manish Agarwal, secretary, Confederation of Real Estate Developers’ Associations of India (CREDAI), National Capital Region (NCR) and managing director, Satya Group. After all the negotiations, you must obtain the No Objection Certificate (NOC) from the developer as well as from the bank which may have provided home loan to the reseller. Wish to purchase Residential Properties in Delhi NCR, Email us or SMS: SAVIOUR at 53030.